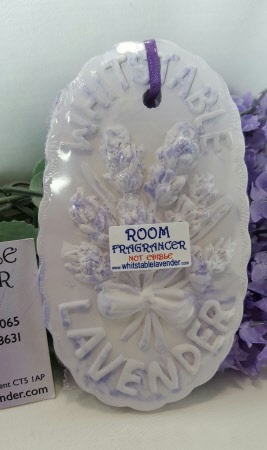 Lavender Room Fragrancers to hang in any room. These room fragrancers are supplied with a ribbon so you can hang them in any room. Top up with a few drops of Lavender Oil to refresh the fragrance. They are made from a special absorbent hardened plaster mix. Room Fragrancer Hanging Plaques - set of 3 Seaside designs Lavender scented. Made from hardened plaster. All have ribbons so you can hang in any room . Revitalise with a few drops of essential Lavender oil. 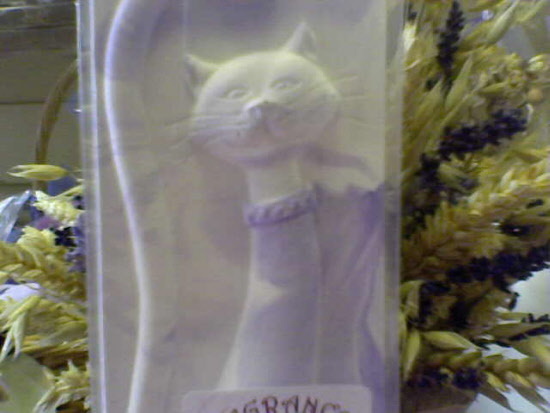 Room Fragrancer Hanging Plaque - Cat design Lavender scented - Made from hardened plaster - with ribbon so you can hang in any room. Revitalise with a few drops of essential Lavender oil. Revitalise with a few drops of essential Lavender oil.